At big basket company, we make sure that we provide baskets for all occasions and use. 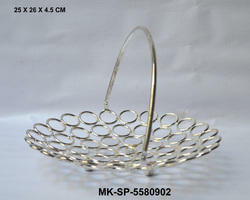 Baskets are required for gifting and packing purpose during wedding also. We supply specially designed trousseau baskets such that items like clothes, sarees, suits, jewellery, gifts, Mithai and dry fruits can be easily decorated and gifted. suitable for traditional indian marriages for gifting. Designer favour baskets are suitable for wedding return gift hampers, baby shower / birthday gifting, wedding cosmetic presentation. All designs of baskets are fine finished with variety of fabrics & imported flower decoration. We have expertise on modification in size, colours & decorations at very affordable prices. 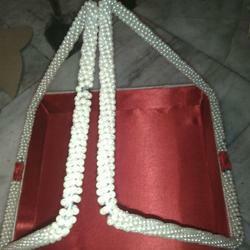 Being a noteworthy enterprise of this industry, we are offering a wide spectrum of Wedding Gift Basket with Envelope.